I'm trying to build a Xamarin.Forms application that runs on Windows 10 Original (build 10240). 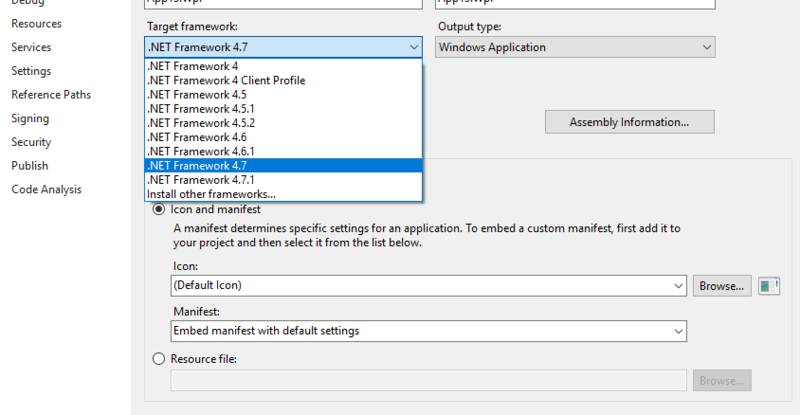 As far as I can tell, my options are to target .NetFramework 4.6.2 (a WPF project) or Uap.10.0.10240 (a UWP project). I first tried a netstandard 1.4 forms project and a UWP project targeting Uap.10.0.10240, but one of the nuget packages I use doesn't support that uap framework. So I created a project with a netstandard 1.4 forms project and a WPF .netFramework 4.6.2 project. I need to target 4.6.1 because you can't install 4.7 on Windows 10 build 10240, and that's the machine I need the application to support. So I found that Xamarin.Forms 3.1.0.583944 and earlier work fine, and I can run a test app using .net 4.6.1 on an older Windows 10 machine.